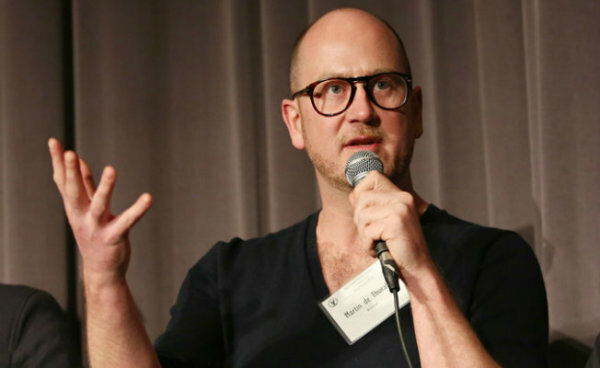 Martin de Thurah of Epoch Films won the DGA Award for Outstanding Directorial Achievement in Commercials last night (2/3) during a gala ceremony at the Beverly Hilton in Beverly Hills. It’s the second career DGA win for de Thurah who this time around earned best spot director of 2017 on the basis of three entries that exhibited a mix of humor and cinematic acumen: StubHub’s “Festival” and “Machines” for Goodby Silverstein & Partners; and WealthSimple’s “Mad World” from WealthSimple’s in-house agency. De Thurah topped a field of nominees which also consisted of his Epoch colleague Alma Har’el; the Hoffman/Metoyer duo from MJZ; Miles Jay of Smuggler; and Isaiah Seret of Biscuit Filmworks. In brief acceptance remarks, de Thurah said he was deeply honored by the award and by being in the company of such talented fellow nominees. He then gave a shout-out to Har’el, sharing that he thought she was going to win the award based on her high-caliber work. He also cited her efforts to open up opportunities for women directors, a reference to the Free The Bid program she launched a little more than a year ago. The non-profit initiative, which has picked up widespread industry momentum, asks ad agencies to include a female filmmaker on every triple-bid project, production companies to sign more woman directors, and marketers to seek one woman’s bid on each of their commercial productions. De Thurah additionally thanked Epoch Films and his support team which included first assistant director Charles Connor on the two Stubhub commercials, and first assistant director Jey Wada and second assistant director Custis Smith who worked on the WealthSimple entry. De Thurah first won the DGA Award in 2014 for two spots he directed in 2013: Hennessy’s “The Man Who Couldn’t Slow Down” for Droga5, NY, and Acura MDX 2014’s “Human Race” for Mullen L.A.